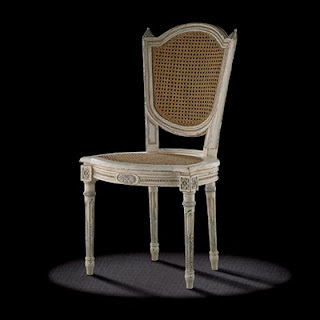 Louis XVI shield-backed chair, circa 1785. Dimensions : 94 h x 51 w x 43 d cm. Original : Chateau in the Tournai area (Belgium).